A gifted healer named Dr. John Wyrick has the ability to see people’s energy fields and their aura in great detail. He sees the colors, and can relate what he sees to karmic patterns from other lifetimes. That’s where Resonance Repatterning comes in. 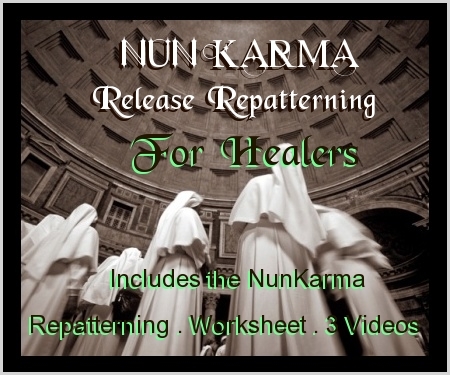 And that’s the reason for creating this version of the Repatterning process: a Nun Karma Repatterning to create a bridge between releasing unwanted vows (especially the vow of poverty) and creating meaningful lives and professions in the 21st Century. This Repatterning has been written so that anyone can do it for themselves. However if you would like to have a deeper experience, you might consider contacting one of the contributing practitioners listed at the end of this book, or one you're already working with. Scroll down to review or for free downloads.